Superhero movies are nothing new. Long before everyone and their mother decided they needed a “shared-universe” Superman and Howard the Duck were running around on the big screen to the delight and chagrin of moviegoers. 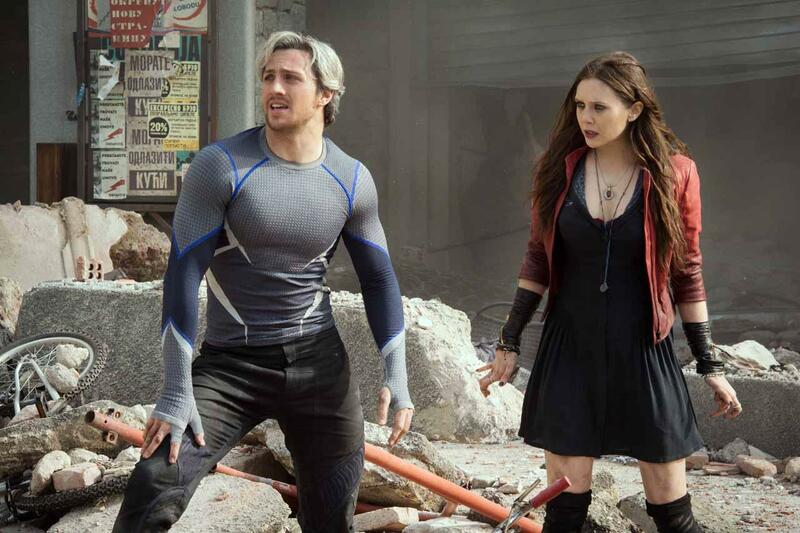 But in a lot of ways Avengers: Age of Ultron feels like the first full-on comic book movie. It’s all there. From the exciting feeling that any one of dozens of characters could pop up just around the corner to the dead weight of ever-imposing continuity, viewing the second Avengers movie is like reading one of DC or Marvel’s massive semi-annual, line-wide , status-quo altering crossover spectaculars. And it comes with all of the same highlights and hindrances of a big comic book event. Characters from across the Marvel Universe are brought together to interact with one another, be it with clever quips or exciting fisticuffs. There’s all kinds of fun pairings to be had, all in the face of massive, eye-popping set pieces and world-threatening antagonism. But that epic comic book event scope comes at a cost on film just as it does on the page. The places Age of Ultron goes are huge, explosive and over-the-top. By the monstrous climax of the movie even Hawkeye points out the ridiculousness of it all. It’s spectacular and ludicrous and getting their in two hours requires a few lapses in logic. The same type of lapses found in massive event comics that have to condense a fight for the entire known universe into six issues. Age of Ultron is a fun, exciting ride from A to Z, but it makes that journey in way fewer than 25 steps and it isn’t graceful enough to cover up the letters it missed along the way. 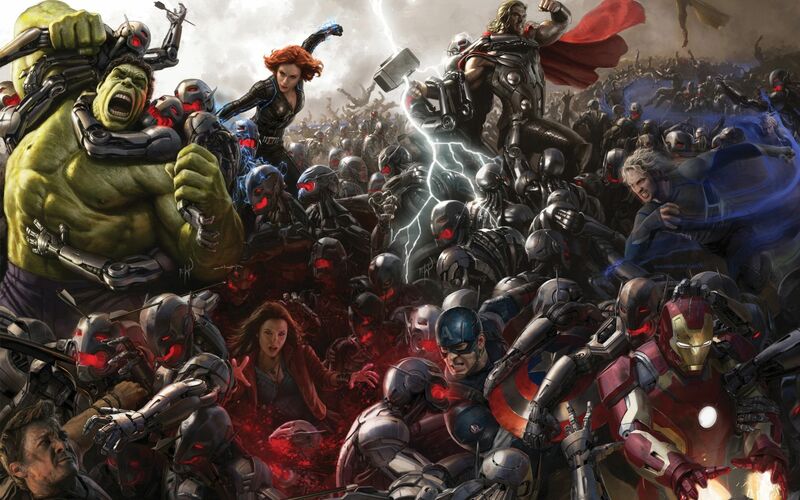 A lot of that is because, much like a major comic book event, Age of Ultron is up to its neck in mythology. I feel confident asserting that Age of Ultron has to contend with more mythology than any other film ever made. It’s the eleventh film in a series that simultaneously has to react to not only its own direct predecessor but also a half dozen other sub-franchises while simultaneously setting up not only its own direct sequel but half a dozen others. Just a couple of dreamy teens. It’s a lot to grapple with and Age of Ultron doesn’t always do it flawlessly. A lot of the bigger moments wind up feeling a little out of left field and I find myself left with questions I don’t suspect there are particularly compelling answers to. But Age of Ultron isn’t just like a big, brash comic book event. It’s like a really good, big, brash comic book event. The new characters introduced here are exciting. James Spader’s Ultron is fascinating and entertaining and menacing. The movie is consistently hilarious, the cast always charming and the dialogue sharp. The little, intimate moments in Age of Ultron are fantastic. I recently posted a piece on Daredevil in which I put forth my opinion that the show is very much Marvel’s take on a DC movie, much as Winter Soldier was a Marvel political thriller and The Incredible Hulk was a Marvel fugitive movie. I suspect the most obvious argument to put forward for Age of Ultron is that it’s Marvel’s artificial intelligence movie, but more than anything before it Avengers: Age of Ultron is very much Marvel’s quintessential comic book movie.